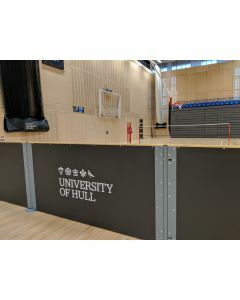 Rebound screens are used to create separate five-a-side courts in a large sports hall, to create walkways at the side or end of courts, or to create a flat rebound surface in front of doors or other openings into your sports hall. 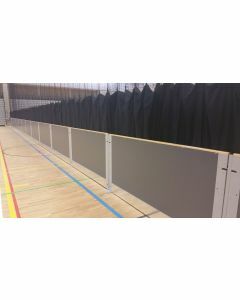 Continental's lightweight but hard wearing panels weigh just 35kg (compared to some solid panels weighing 95kg each!) to enable them to be safely set up and put away by your facility's staff. 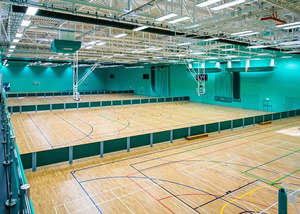 We are the only company in the UK offering a range of 36 different colours for your rebound screens with a colour choice to suit any scheme. 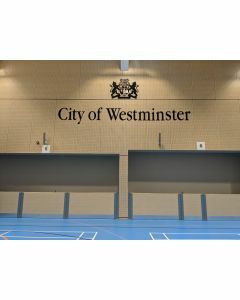 We can also personalise your rebound screens so you can use them as a branding opportunity for your hall - our rebound screens look fabulous with digitally printed logos and graphics down the full length of the divider! Continental's lightweight but hard wearing panels weigh just 40kg (compared to some competitors solid panels weighing 100kg each!) 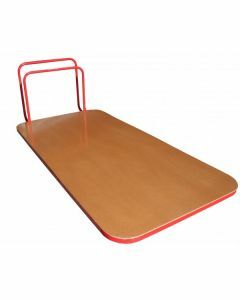 to enable them to be safely set up and put away by your facility's staff without health and safety and manual handling concerns. Horizontal storage trolley designed to hold fifteen full rebound screen panels. 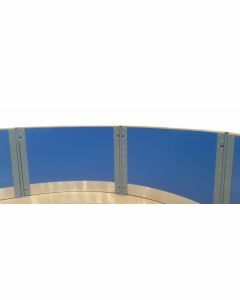 Also incorporates a section at the front to hold the requisite number of posts.